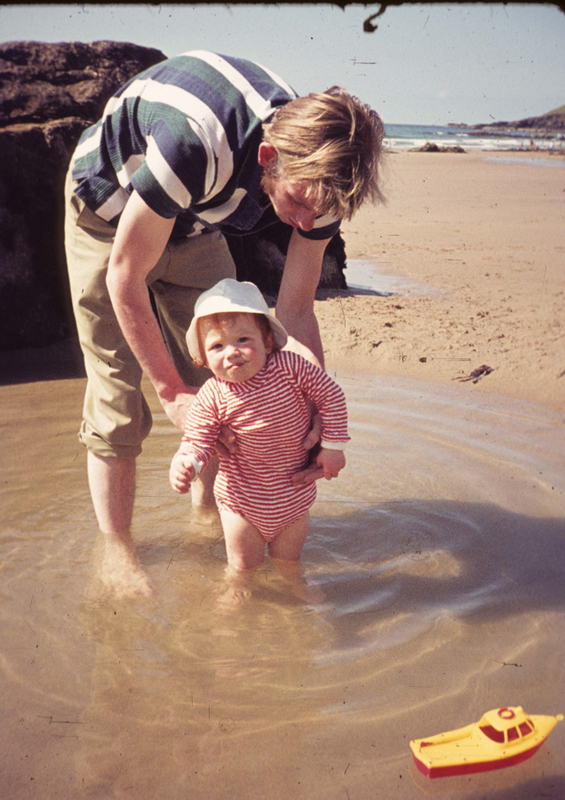 'Growing up in a small mill town in Yorkshire, in a family without a great deal of disposable cash, didn’t set me up with an enormous range of opportunities for enjoying the oceans. 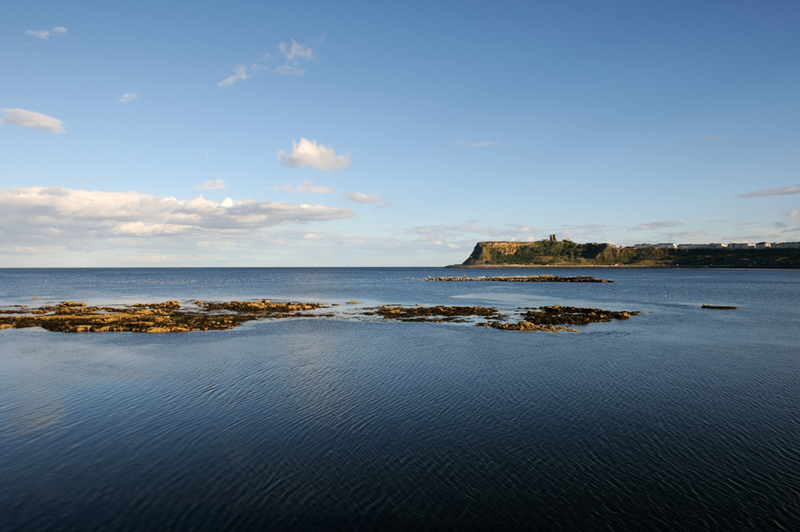 Far-flung foreign shores, coral reefs and larking around on the water were for other folk, not us. To be honest, I never really minded. I never had a wealthy background so, didn’t miss what I didn’t comprehend. I never wanted a few weeks in Spain and a raffia donkey; this was the 1970s after all and foreign travel meant foreign food - something that struck the fear of God into my father. 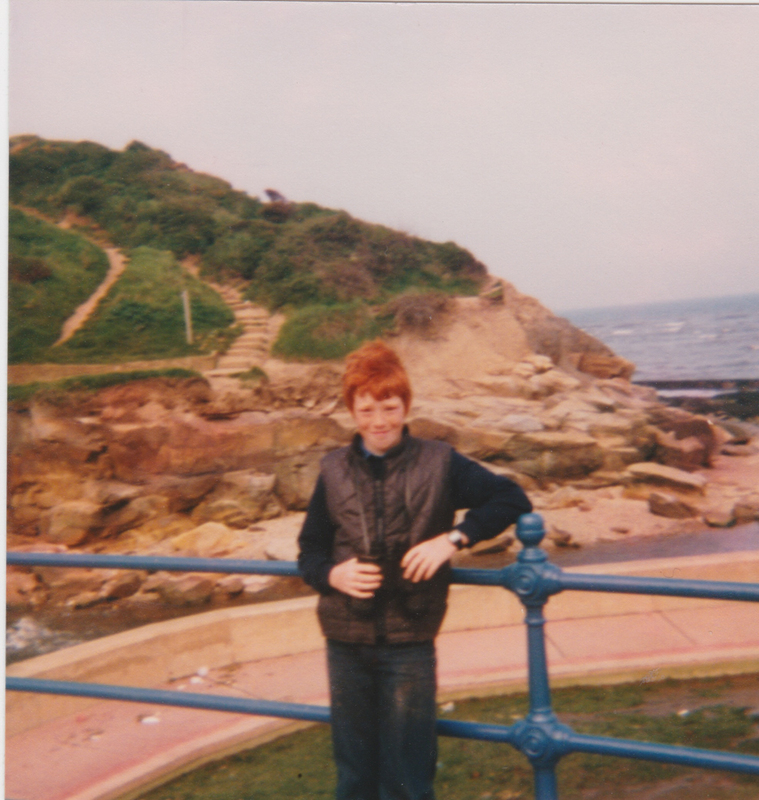 I was fortunate to grow up with something far better as far as I was concerned: the Yorkshire Coast. My wife often jokes with me when we’re on holiday and will ask, “Is it as a nice as Scarborough?” I’ll look round at whatever beach we’re on, and jokingly bemoan the lack of donkey rides and rock pools. We’ve trotted out the same lame joke on several continents now, but there is a fundamental truth here and, it all stems back to the first beach that ignited my passion for the sea. Looking back at family albums, reveals a load of blurry shots (occasionally with a thumb over the lens) of a small ginger boy being dangled into the shallows and, often with a small Jack Russel terrier looking on. The photos don’t get better as I grow a little and I’m seen carrying a small bucket no doubt holding a long-suffering crab. 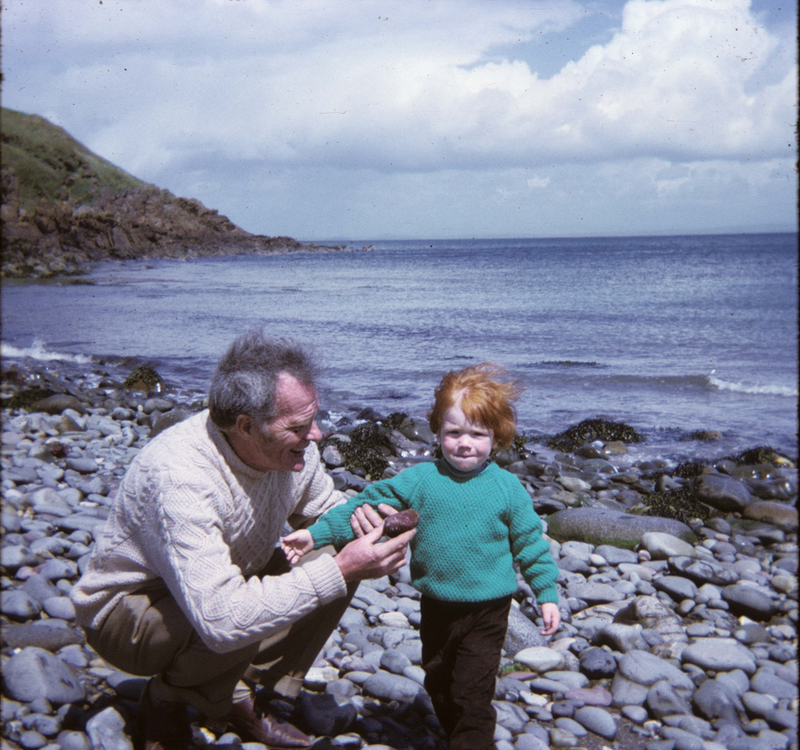 Forty years later and I am still just as fascinated by parting the seaweed and lifting a stone in the hope of a butterfish or a blenny. 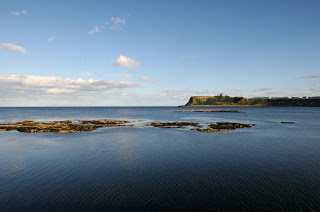 Seaside holidays to the Yorkshire coast were entirely sufficient for my happiness, and it was the coming and going of the tides that defined my days. On occasion, our fortnight away would coincide with a really low tide or a belter of a storm that would be equally thrilling. Everything revolved around the sea and it was on that beach, and rooting around in those rock pools that would find me the happiest I would ever be. I was not one of the kids that would catch as many crabs as possible and stuff them into a tiny bucket; I had my own code of conduct and a series of stealthy techniques to see as much life as possible and to leave the rock pool as I found it. Each rock had to be returned the right way up and all the wrack had to be pushed back to shade the red buttons of the anemones. I never knew it, but I was learning that I wanted to be a biologist. Away from the coast, I would adore nature documentaries. Does anyone remember The World About Us? Attenborough’s Life on Earth was also a seminal series for me, but it was always the episodes featuring life underwater that most thrilled. Lions chasing wildebeest were okay, but show me a coral reef, and - wow! I’ll skip a few years of atrocious haircuts to around 1999 and I was working as a countryside ranger. Every evening I would drive home past a water sports centre that had a large PADI sign outside. Every night I’d think, “I ought to call in there.” It took a while, but eventually I did and a few weeks later I was in a flooded quarry with freezing cold water, freely pouring itself into my ill-fitting drysuit. My God was I happy as I watched a small shoal of Rudd pass by. This was the hobby for me (despite the icy trickle running down the small of my back). 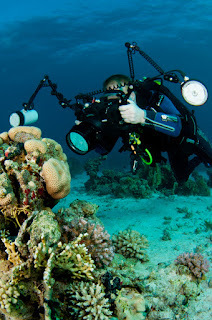 That was in October and by the following January I was on a reef in the Red Sea. It’s hard not to resort to cliché and claptrap about ‘taking a step into a wider world’ and similar silliness, but there’s some truth to it, wasn’t I now in the rockpool? Hadn’t I taken the next step and stopped paddling, thrown the bucket away (it was one of those for sandcastles with turrets on each corner) to immerse myself, pun intended, far further than that kid in the 1970s could have ever expected? I learned to love my diving holidays and spent way too much on kit even before discovering underwater photography. My first camera, a little Sony compact in a bright and friendly yellow housing, served me well for a few trips before I splashed out on a housing for my dSLR camera. I won’t mention the manufacturer but I didn’t get on with that brand at all well and it became known as the ‘Nikon-killer’. There was many a dive trip on which I’d be sitting in a corner on deck offering to sell the lot to anyone with a few quid. My diving buddies found this hilarious and annoying with equal measure. Diving was for fun, and holidays (usually to islands from Greece to Madeira) were about being by the sea, beachcombing, the odd dive and beach- side restaurants. Good times, lovely… and then we all had to bail out the banks and my comfortable job was no more. After I’d sworn a lot, Angie, my wife, sat me down with a piece of flipchart paper and being the trainer and sensible person she is, asked me what I wanted to do; what could I do; what did I enjoyed doing and whether this was a time for a new career? Jokingly, I said I’d like to be an underwater photographer, and, surprisingly, she didn’t dismiss it. Much of what we wrote that day came down to ‘writing’ and ‘photography’. I had submitted a few articles on fish to an aquarium magazine and they’d been published; could I do more of that? 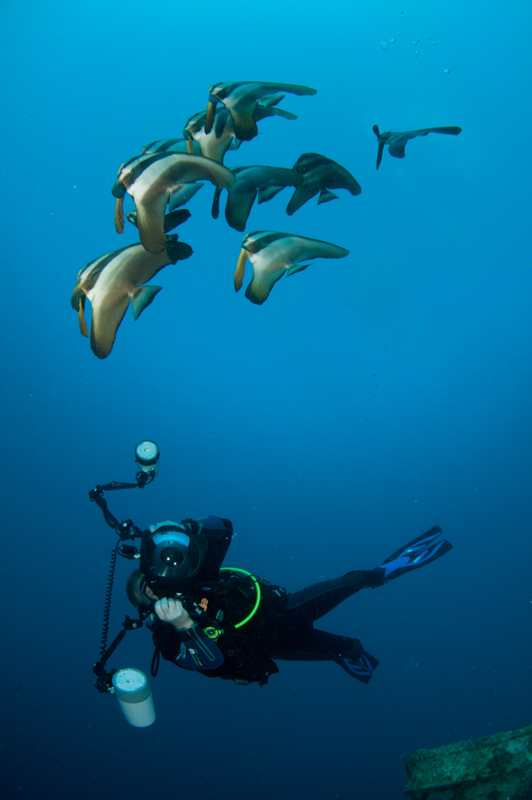 Could I write for scuba magazines? We decided we were going to change our lives. We cut our spending dramatically and I started trying to send out articles. I took on more work for the aquarium magazine, which I fairly quickly realised was not an industry I could support (even though there was some good work going on to study coral reproduction and captive breeding). I did what I could to encourage sustainability but with little success I fear. 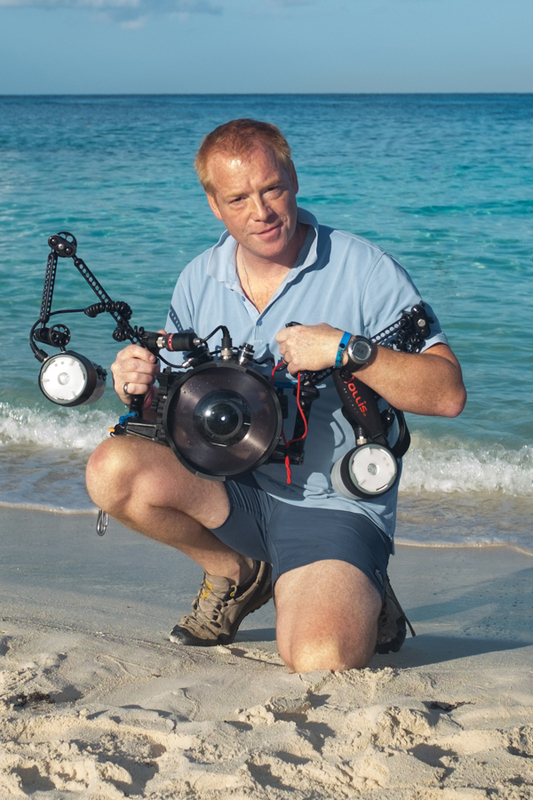 When I got my first article published in Diver magazine I was ecstatic and when they offered me my first foreign trip to write for them I was as happy as that five-year-old on a donkey ride on Scarborough beach. And that brings me up to the present day. I’m now writing articles/blogging on diving, conservation issues, photography, travel, dogs and Yorkshire. It barely pays the bills of course and for at least two days of the week I look after people’s gardens to keep a little more afloat, but I’m fortunate enough to have been to Fiji, Mexico, the Caribbean, Mauritius, the Maldives on ‘paid for’ press trips. I often think back to the time my parents thought about going somewhere other than the Yorkshire coast for our holiday and my utter horror at seeing Blackpool, with its complete absence of rock pools. Thankfully it was only a day trip - and we never returned. I shudder to think how differently my life might have turned out if it had been devoid of those childhood experiences of rock-pooling at Scarborough. I thank my lucky stars that’s Scarborough is the place to which we returned year after year. We continue to visit now and I still enjoy a spot of rock-pooling there. You can’t beat it!